Since our clients’ best interest is our main focus, Sumipol’s professional team responds to every need, from advising on the best selection of tools and machines through to improving production efficiency and reducing costs. Our experienced sales team and Japanese engineers from the manufacturers provide a full range of services, from tools selection advice and the correct application of tools, through to maintenance and problem solving consultation in the manufacturing process and quality control. 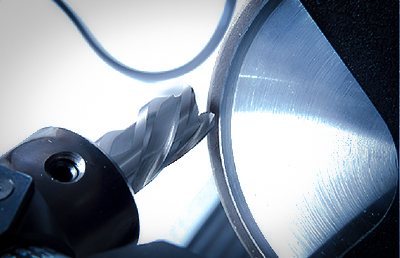 We recommend the best hi-tech tools and equipment solutions for your machining process. We work closely together with our clients to improve the productivity and cost efficiency. We help design and develop special tools for machining to respond to the client’s demand. We provide test cut services to minimize production line downtime when a new product or work piece needs to be added. We advise our clients upon the selection and set up of CNC machines with the right cutting tools and tooling systems to be used. We provide advice and technical support in the selection of tools and instruments, and also provide support in the usage and maintenance of the quality systems. 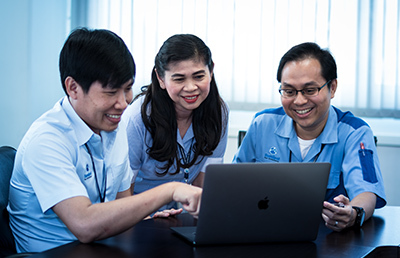 We provide demonstration services for measuring instruments at the Solution Center which is located at our Eastern Regional Office in Chonburi. We promote the use of Measurement Data Management Systems to enhance quality system efficiency through real-time, automated data collection and processing. One of the most important factors in factory operation is the continuity of manufacturing which require thousands tools and equipment. 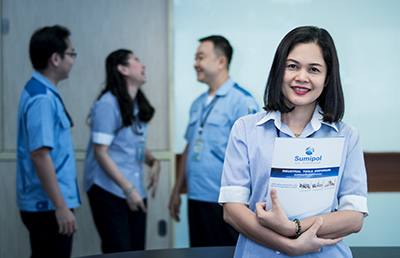 In order to ease the burden of this matter for clients, Sumipol focuses on stock management with advanced systems to ensure efficient preparation of 50,000 products such that they are ready for the clients with prompt delivery. 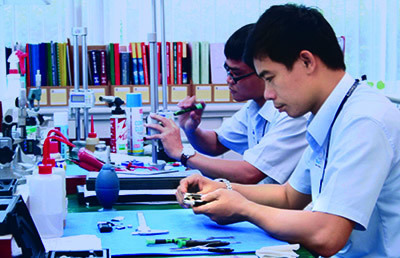 We provide high quality repair and regrinding services at our network factories. This helps ease the maintenance burden for our clients and reduce costs. Service for carbide drill products operated by Sumitomo Electric Hard Metal Manufacturing (Thailand) Co., Ltd. Repairing and recoiling service for thread rolling cylindrical & flat dies operated by OSG Thai Co., Ltd.
We are the only company that provides repairing services for measuring instruments to Mitutoyo’s standards. We provide genuine parts for replacement with service from experienced technical mechanics who are well-trained and certified by the manufacturer. We are also the first company in Thailand where mechanics were provided with a labor skills certification by the Department of Skill Labor. This service helps to extend tool life and achieve cost reduction, and where applicable includes the setup of granite surface plates at the client’s site. 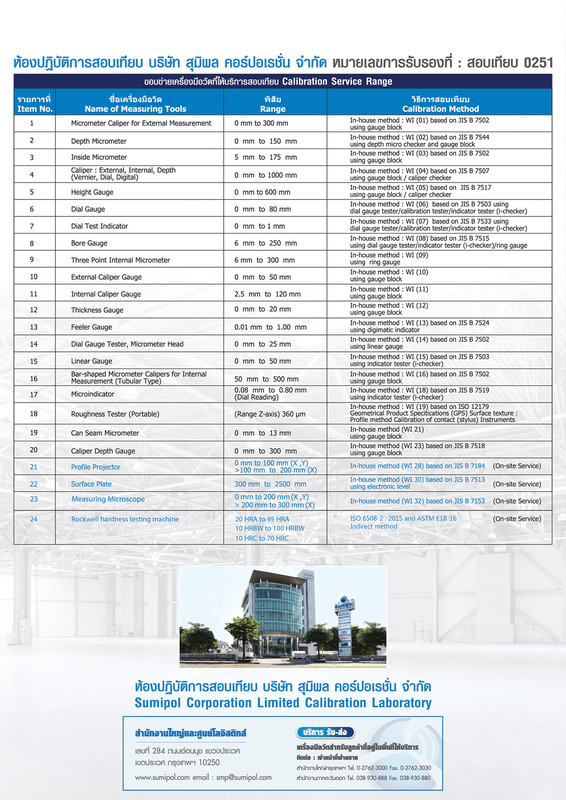 Inspection sheet for reference is provided. Free initial examination and quote. 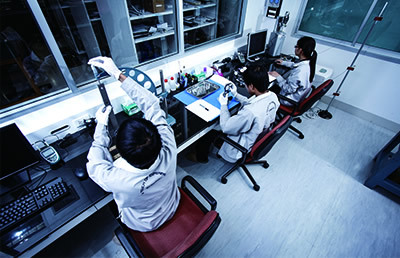 We provide service at the calibration laboratory according to ISO/IEC 17025:2005 as certified by the Thai Industrial Standard Institute (TISI). Note: many of our courses are registered with the government offices responsible with professional skills certification; therefore, eligible course takers who pass the examination will receive a course certificate.